These Trees were planted on Basant Panchami, the 15th of February. The trees will be nurtured by the farmer. These trees are located around the village of Suneel, Chamoli Dist, Uttarakhand. 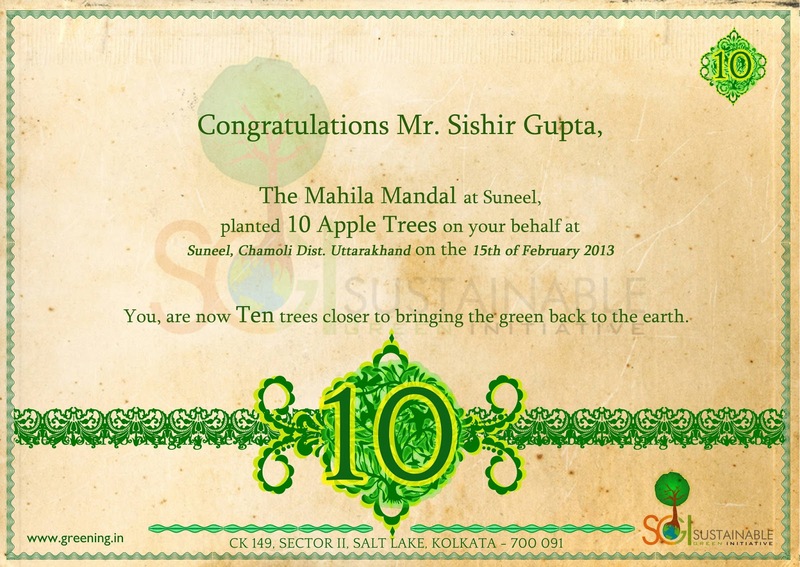 Click here to see the complete Suneel plantation.